Justin Biebers manager announed this week that Kanye West has showed some interest in producing tracks for the teen stars brand new album. The duo previously worked on a remix to Biebers song ‘Runaway Love’ back in August. You can say what you want about Kanye, but you can’t deny that the guy knows what he’s doing. 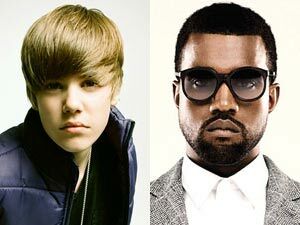 By teaming with the biggest teen star right now there is no doubt that Kanye will push his popularity even further. What’s more interesting though is the direction that Biebers music is apparently heading. Looking back at the ‘Runaway Love (Remix)’ it’s clear that Kanye is not straying far from his roots when producing for him, and I have a feeling that he won’t with this new material either. Even though he is labeled as a pop artist there are clear R&B influences in his music, especially his voice. I think that Kanye will be able to pull that from him, creating a sound that we have not heard from him yet explicitly. I won’t say anything bad about Bieber because frankly the kid is talented. He has yet to record anything that has made me take serious notice of him yet. His team is smart, and they know their audience, but if Bieber wants to become something more than a teen star he needs to start delivering quality music. Working with Kanye is a step in the right direction, and if they can create something that is believable even better. While most of us (myself included) shake are head at the kid now, I really think we won’t in 10 years if he begins to grow musically. He already has a strong fan base. It’s time to branch out and prove himself a legitimate artist. I think you’re dead on man, I think he is talented enough to grow musically as he gets older and as music changes, similar to Justin Timberlake, but possibly more successful. If he lets out albums regularly he could be. Justins been gone too long.